Finland holiday cottage. 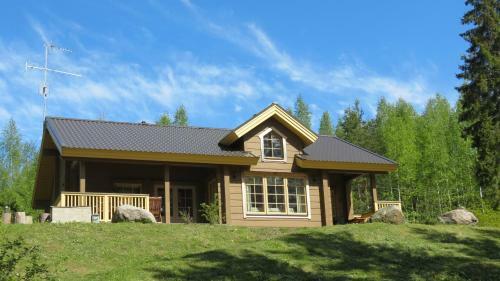 Featuring cottages with Lake Saimaa views, this property is less than 20 minutes’ drive from Lappeenranta town centre. Each cottage offers a private sauna. A fully equipped kitchen is standard at Mikonsaaren Loma-Asunnot, as well as a seating area with a TV, DVD player and fireplace. Each cottage has a bathroom with a washing machine. Some feature a furnished terrace. BBQ facilities and free use of row boats are available upon request. Guests can also enjoy swimming from each cottage’s private jetty. Central Imatra is 39 km away, while the Russian border town of Svetogorsk is a 50-minute drive from Mikonsaaren. Fishing and hiking are common area activities.